The south east of England is to receive five times more money per person for flood defences in the coming years than parts of the flood-hit north, figures suggest. Analysis by the Press Association of the six major projects and 23 programmes from next year reveals the share of the £4.1 billion is set to be much higher per person for the South East than anywhere else in England. The figures, based on regional populations, show a per person spending of £167 in the South East, almost double the £92 being spent in Yorkshire and the Humber, one of the areas badly hit by flooding this winter. Some £75 per person will be spent in the East Midlands, £57 per person in the South West and £40 in Eastern England. In the North East, spending per person will be £33, a fifth of that being spent in the South East, while the North West, which saw some of the worst flooding this winter, will see £30 spent per person. Per capita spending is lowest in London, at £15, and £12 in the West Midlands, the figures reveal. The regional breakdown does not take into account around £700 million of the £4.1 billion described as spending in “England”, part of which is £120 million earmarked for additional flood defences in areas including York, the Calder Valley and Cumbria. The plan sets out a pipeline of £4.1 billion of capital investment in schemes from 2016/2017 to 2022 and beyond, including major projects in Oxford, Lincolnshire, London and Fylde Peninsula, Lancashire. 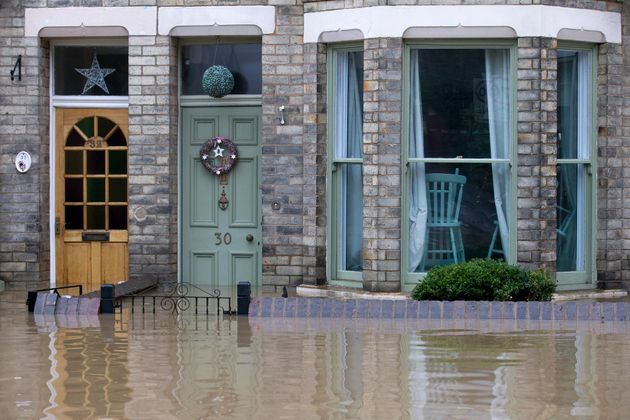 By the end of 2020/2021, some £2.7 billion will have been spent on better protecting 300,000 homes, avoiding £23 billion in household damage and cutting flood risk in England by 5%, the report says. With more money set to be spent in 2021/2022 and beyond, the long term capital spending on flood and coastal erosion prevention totals £4.1 billion, according to the Government figures. A spokeswoman for the Department for Environment, Food and Rural Affairs said the per person figures were “misleading” because they did not take into account projects where the benefits would cross different regional boundaries, proposed schemes that were still being assessed and spending on maintenance. The £2.7 billion spending up to 2021 includes £2.3 billion money from central Government as well as “partnership” funding from other sources, she said. “We are investing £2.3 billion in flood defences in the six years to 2021 to protect the whole nation from flooding, a real terms increase on the £1.7 billion invested in the last Parliament, and the Budget announced an extra £700 million in funding. “We are exceeding the Government’s manifesto commitment by building 1,500 flood defence schemes that will better protect 300,000 more homes across the nation,” she said. But shadow environment minister Alex Cunningham said: “These figures will be of real concern to communities who feel forgotten by the Government, particularly those who have suffered several flooding incidents in recent years.